An overland safari for those looking for an incredible adventure. Climb a sand dune; view Africa’s famous wildlife, pole through the Okavango Delta, cruise down the Chobe River, soak up Victoria Falls, visit a tribal village and visit four Southern African countries. 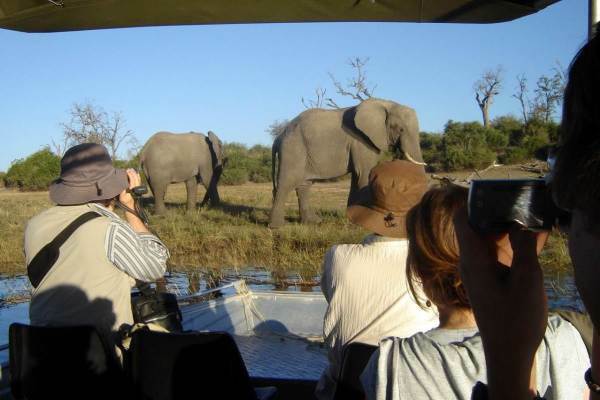 Amazing scenery, adrenaline activities, game viewing and cultural encounters make for an exciting tour. The adventure begins in Cape Town with a visit to the townships on the “Cape Flats”, where we get an insight into the local culture. Leaving Cape Town behind, we head north to our first camp near the Cederberg Mountains. In the afternoon we have a chance to sample the local wines and to meet our fellow travelers. Our day begins with an early morning open vehicle game drive through the Chobe National Park. 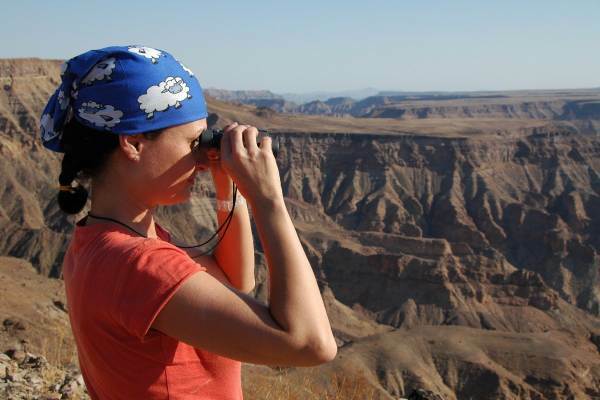 The experienced guides know all the best spots to locate the animals. Good chance that you will encounter lion, elephant buffalo and more, so have your cameras handy. We then head to our final destination – Victoria Falls. We cross the Zambezi by ferry and head to our camp on the Zambian side of the Victoria Falls. We visit the falls in the afternoon and marvel at this wonder of nature. The locals refer to the Victoria Falls as “Mosi oa Tunya” - the smoke that thunders. The spray from the falls creates a natural rainforest around the waterfall. Our camp is based at the Zambezi Waterfront and is right on the banks of the Zambezi River. 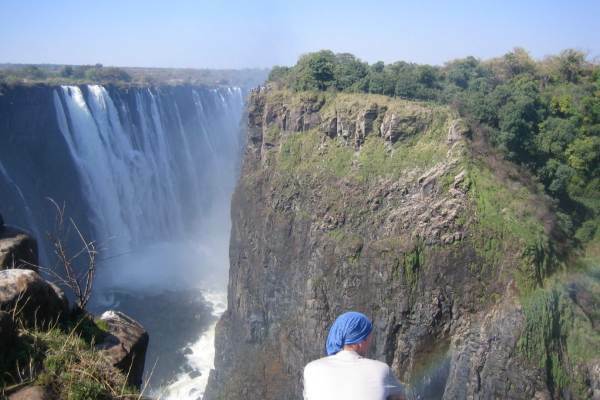 The Victoria Falls is the adventure centre of Africa and has loads of activities available. Leaving Victoria Falls, we cross the border into Zimbabwe and head for the Matopos area. We pass through Bulawayo, the second largest city in Zimbabwe, and set up camp. The Matobo National Park, with its unusual boulder formations is a rich cultural heritage area and has many Bushman paintings dispersed across the park. It is also the burial site of the infamous Cecil John Rhodes – a major player in the colonisation of Southern Africa. Matobo National Park is also known for its concentration of Black and White rhino, as well as a large number of leopards and Black eagles. and a Kruger safari is a must do for travellers visiting Southern Africa. The park is known for its high concentration of wildlife, including the Big 5 and visitors are bound to see a large variety of game. We set up camp on the outskirts of the Kruger and on the first evening enjoy Shangaan tribal dancing. The Shangaans are the dominant local tribe of the Greater Kruger area. After an early morning breakfast, we head to the gate of the Kruger Park. Note that the game drives are conducted in specially adapted open game vehicle. These 4x4 vehicles offer great viewing as well as excellent photographic opportunities. The local guides have a load of experience and know all the best spots to find the animals. The guides are very informative regarding the animals. We enjoy a morning game drive, before having a welcome break for lunch and a rest. The afternoon is spent searching for any elusive species that may have eluded us. After a long day in the park, we head for camp for a well-deserved rest. After breakfast we leave the Kruger area and head to the bustling city of Johannesburg. Outr tour ends late afternoon or early evening.